PA chairman's adviser Mahmoud Al-Habbash says Israel's restrictions on entry to Al-Aqsa Mosque are "Israeli Zionist Inquisition". 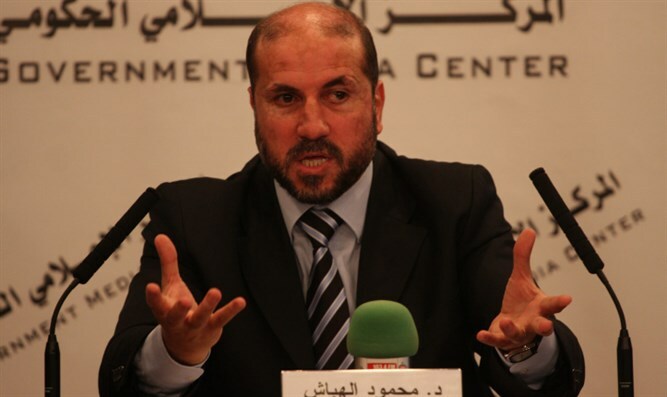 Mahmoud Al-Habbash, a senior adviser to Palestinian Authority (PA) chairman Mahmoud Abbas, recently compared Israel’s restrictions on access to the Al-Aqsa Mosque to Nazi methods. His comments were made on June 30 in an address on the official Palestinian Authority TV channel, and were translated by the Middle East Media Research Institute (MEMRI). "The most prominent mosque to which people are prevented access is the Al-Aqsa Mosque. There are roadblocks, restrictions, closure of the gates, road closures, and age restrictions – this is a new form of 'art,' which we are hearing about for the first time: People who are under 40 years of age are not allowed to pray,” said Al-Habbash. He then continued, “What is this? What historical age are we living in? In the days of the Inquisition? Are they trying to do to others what was done to them in the ghettoes, in the Inquisition courts, or in the Nazi courts? Is this or is this not the Inquisition? It is an Israeli Zionist Inquisition, which is trying to violate one's human dignity, and the dignity of religious belief and of human faith in God." Last year, Al-Habbash, who advises Abbas on religious affairs, blasted the security measures taken by Israel following a terror attack on the Temple Mount, saying they constitute a blatant violation of the conventions and decisions of international institutions regarding the status of Jerusalem and its holy sites. He warned Israel against continuing to carry out its "crimes" in Jerusalem, saying those “crimes” would not bring Israel peace and security, but would instead lead the region to violence and bloodshed. The PA’s official media outlets regularly air incitement against Israel.